Chelsea Dungee scored 17 points in the third quarter. Chelsea Dungee has scored in double figures in 22 of Arkansas’ 25 games and has scored 20 or more points 12 times this year. 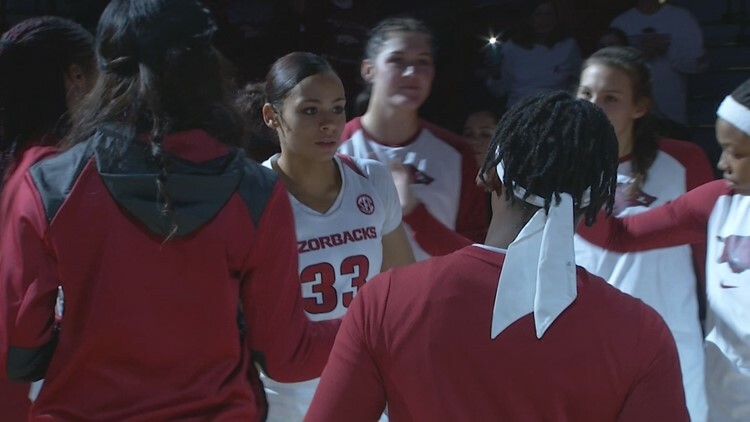 Chelsea Dungee has been Arkansas’ leading scorer in 13 games. Chelsea Dungee has scored 30+ points twice (Auburn and #16 South Carolina). Chelsea Dungee’s 41 points is the most in program history in an SEC game. It is three points shy of the all-time single-game record of 44 points. Raven Northcross-Baker scored 12 points. It is her second game of the season in double figures.